There was a pretty sad announcement made this afternoon when the world found out the Robin Williams had passed away from a suspected suicide. The 63 year old actor's career spanned almost four decades and beloved by...well, pretty much everyone. A rep for the actor said that he had been struggling with depression. It is no secret that the funny ones are usually a little bit dark on the inside, and I guess that was no different for Robin. 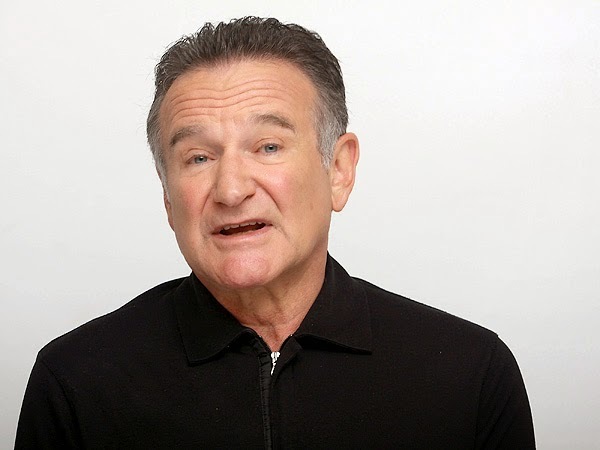 Robin Williams was a comedian, but he also could do drama. He was what Jim Carrey tried to be and what many comedians probably wish they could be. He was in some of the most beloved movies for people of many generations. One of my all time favorites was Dead Poets Society, but he was known for so many others as well. Robin had most recently been in a couple of small films as well as The Crazy Ones, a sitcom on CBS which was cancelled in May after its first season. This is truly a sad day for Hollywood. Let's remember how he made us laugh.